As many of you know, I have a very long term temporary tote setup housing my crabs. 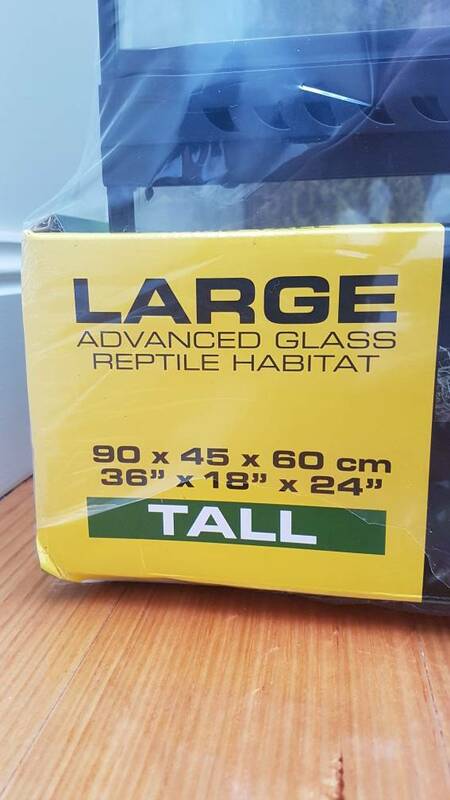 While I was going down the path of custom built tank, the uncertainty of the total cost (I estimated close to $1000 to get the basics of a wooden vivarium done) I decided for the time being, on a part timer uni student budget I'll stick with store brought. - Potentually allow a multi tank setup. While I initially looked at exo terra and other reptile tanks, I quickly dismissed them due to not being wide enough. 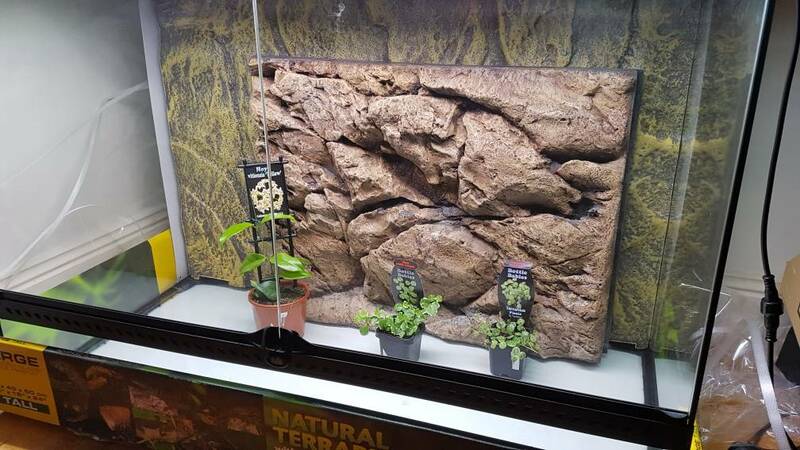 While the CADE terrariums were nice, their $1000 plus pricetag that included things I didn't need like filter input/output, misting system and everything but the kitchen sink made the overall investment not worthwhile. I then looked at aquariums. 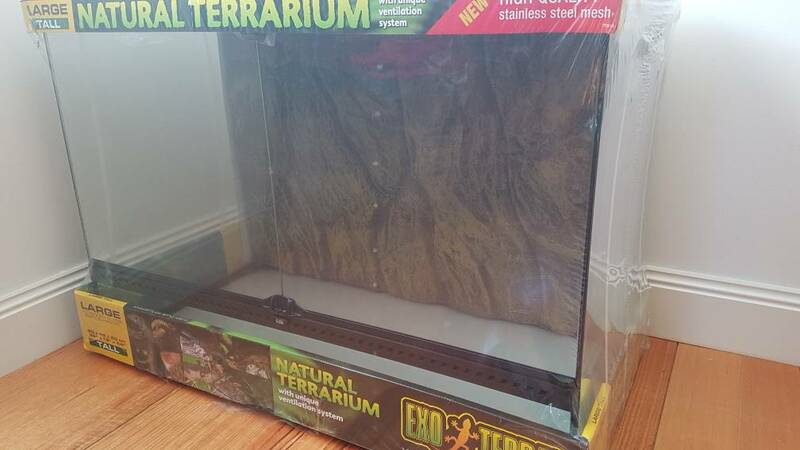 A 80cm (little less than 3ft) cube tank came up for sale which I was thinking of purchasing however the thick glass made it heavy - very hard to get into my room and car - not to mention was missing the bracing system. Other than that, no good deals. Except for ebay. So as you can guess, I am a proud owner of a exo terra terrarium! To rehash for those that skipped - shame on you! - I purchased a exo terra terrarium. 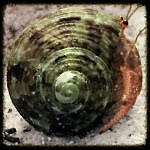 It's size is the Large Tall, which total dimensions is 3ft long x 1.5ft wide and 2ft tall. Good enough for me to be happy! The first thing I have to do is get it on a stand. But not any stand, a low one in order to fit under my windows which I currently dont use a quarter of my room for. I still trying to hash out some ideas, but the stand has to be a max of 20cm/8 inches tall, anything taller and it makes it hard to open the window, especially if i do decide to get a second tank and connect the two. Other than that, I am still trying to decide if I just want to set it up as quickly as possible and then go back and set it up properly - with all my bells and whistles - or just do it right in the first place, and the crabs can wait in the tote for a few weeks... Dunno what to do, I'm leaning towards the first option, since I want to see their cute little faces... and also, I really want to dismantle those totes! But of course, minor mod work is needed - like the front, otherwise the substrate is going to be a little shallow... i still debating if I go glass or just use plexi - or use what i used last time... options? Im thinking glass tbh, it looks a lot nicer personally and my local fish store has loads of sizes to choose from so it shouldn't be too hard finding the right fit IMO. Very nice! Congrats on new tank! How would you add the glass to make the substrate deeper? Just put a panel at the front of it? I’m just curious, I do like the look of those tanks. Woo hoo! Do it right, and let it take a few weeks - you won't regret it! Woo hoo, congrats! Normally I’m the instant gratification type, but I took the time to set up my 65g “right” so I’d only have to relocate everyone once. If your guys are otherwise comfortable, I vote go for broke on the new setup! Can’t wait for pics! Thanks everyone... I guess they can wait a little longer, I'll probably do the bulk of the work after uni exams (late Nov) but I could easily gather supplies now for it IMO. RiNiKy506 wrote: Very nice! Congrats on new tank! 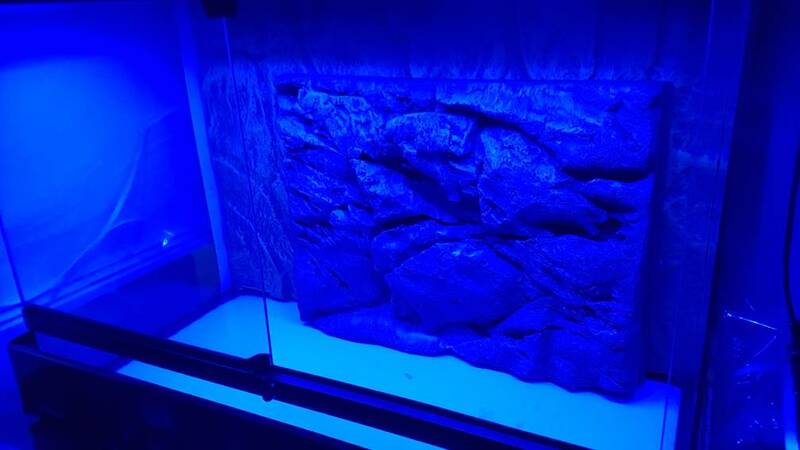 How would you add the glass to make the substrate deeper? Just put a panel at the front of it? I’m just curious, I do like the look of those tanks. Thank you, that’s what I was thinking but I wasn’t sure. That’s a great idea. Well, something new came in the mail for this setup which Im pretty excited to use once its all set up. 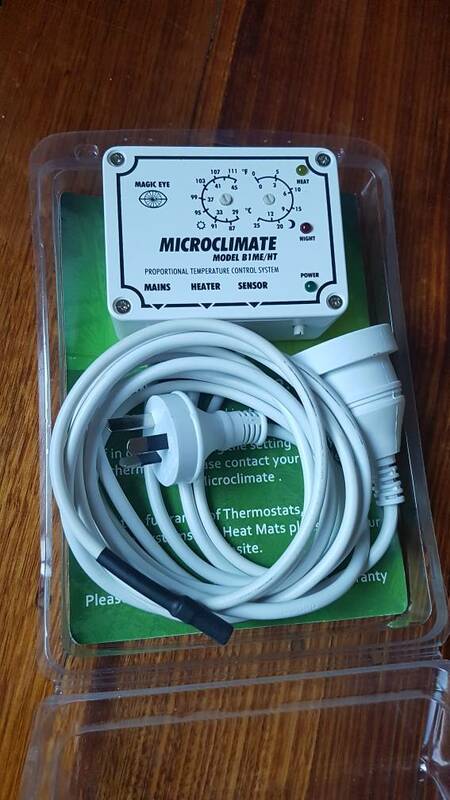 The Microclimate B1ME to be exact. 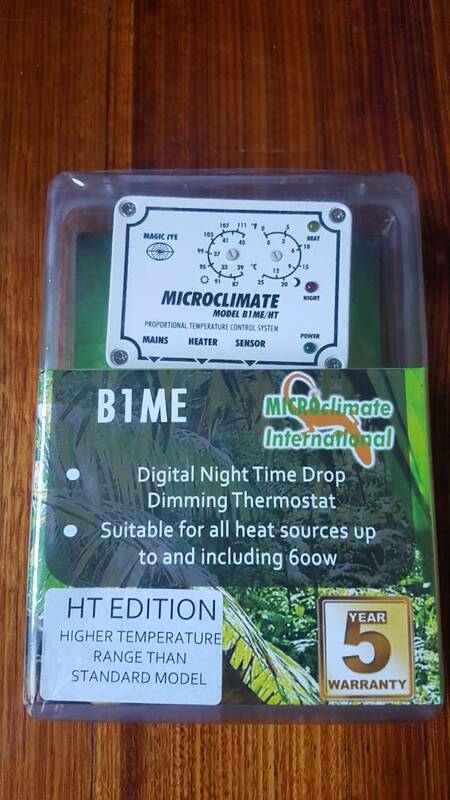 Not like any old thermostat, one with the option to have a lower night temp... so I'm pretty excited to have the option to lower the temp a bit at night, and stimulate day/night cycles. And cords/wiring - the sensor cord is really thiccc! I have a light coming in the mail, and recently brought a few potential plants to grow out for the vivarium. Yeah, just like everyone else, Im going (to try!) planted. Hoping to have a group of fast growing robust plants in there, that tolerate high tropical temps and humidity. I don't expect them to grow, but should be fun while it lasts IMO. That looks great!!! I'm interested in how it works. Also, good luck with the planted!!! ciaraalston wrote: That looks great!!! I'm interested in how it works. Also, good luck with the planted!!! Haha, yeah. Same here! I'm pretty excited to set it up, and see how well it does. It looks really well made, so thats always a good sign. Haha thanks. I needed that. 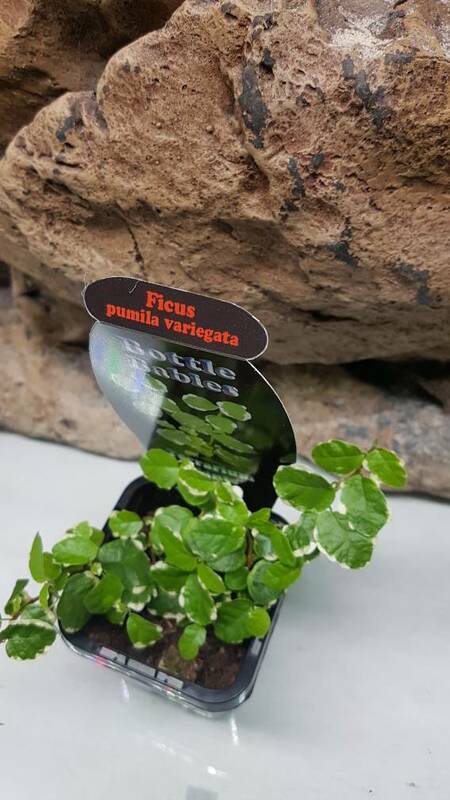 I'm hoping that somehow my last few years of planted vivariums research can be applied to hermies and have moderate success with plants in there... if not, then I'll go plastic - which is something I really dont want to do... I love my planted fish tanks too much! The light came. Its a basic fleabay light, will it support plants... eh, probably. But it hopefully will be enough to keep them alive... until the crabs decide to have fun. In saying that, I would happily chuck this on my aquarium and expect the plants to do fine. Even though I have no idea on the PAR, its certainly bright enough visually and gives my named brand lights a run for its money. But, it does wash out my red plants quite a bit, which is a little bit of a shame - makes them appear pink! 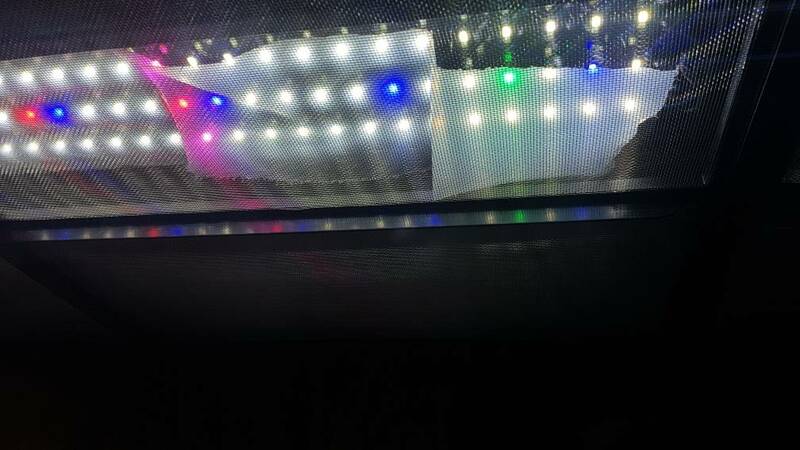 A pic showing the LED - yep, blues, red, purples and greens... as well as basic white. All blue 'night mode' - definitely wont be using this, way too bright... If I want a night mode, old fashion night light for reptiles or fairy lights would be a good option. 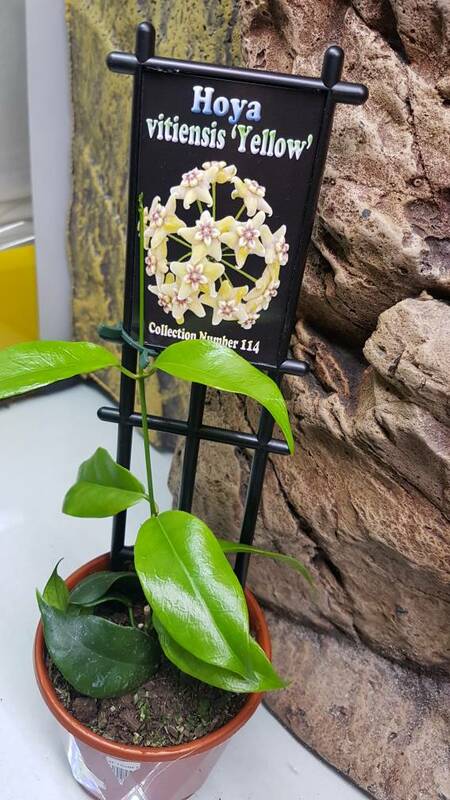 Hoya - from what I can tell, hoya species seem to be around the same area as wild populations of C.variabilis... so I thought why not try and see how it goes. It mostly a vine-ing plant, so i hope it growing on the wall keeps it from harms way. 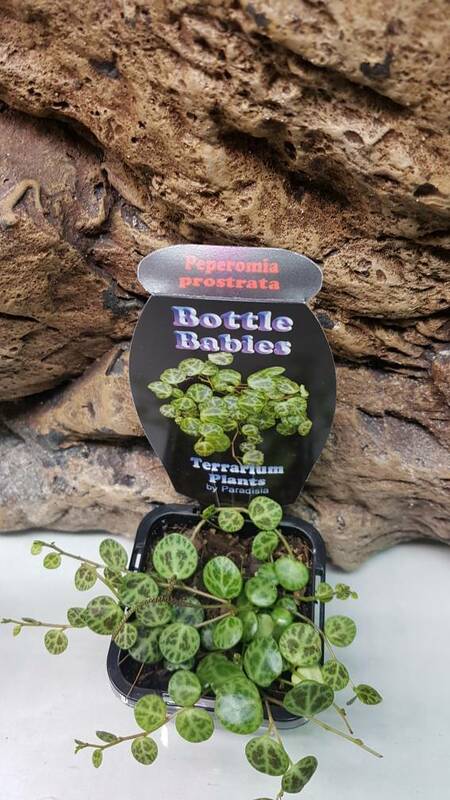 Peperomia prostrata... this is an experiment plant, which is commonly used as a groundcover or draping plant. I'm hoping by planting it off the substrate, it will avoid the majority of the attacks and do somewhat well in the setup. So yeah, thats my gameplan. Slowly coming together, I've now just gotta focus on getting a stand of some sort, the glass for the front and materials for my DIY background - expanding foam method and sealing with a concrete layer.... last time I covered styrofoam pieces with concrete, it turned out well and the crabs loved it! And once uni is finished for the year, piecing it all together! Very cool! Can't wait to see more of this thread!!! Wow! So cool! You’ve got a lot of very nice stuff, I love that light. I can’t wait to see you put it all together.